Colorado’s complex nominating process will begin on March 4 when political activists go to their caucuses. All level of partisan political offices, from local county and legislative positions to the major statewide races, will start selection of party nominees. The process will end with conventions held in April, the most important will be the Republican state convention (April 12), which will designate candidates for the June 24 primary. Just to make the process a bit more confusing for the average voter, a petition process is also allowed, and many candidates will try to get on the local and statewide primary ballot by petition. The Republican Party has a crowded field for both governor and U.S. Senate anxious to take on Colorado’s Democratic incumbents in what appears to be a better year than 2012 when President Obama and his coattails helped sweep Democrats into control of the state legislature. There is a wide open race for governor in the Republican Party, but with a couple of frontrunners who are trying to avoid debates – former Congressman Tom Tancredo and Secretary of State Scott Gessler. Given that the party wants and will need a strong candidate to go against incumbent Governor John Hickenlooper, one who can attract and not repel independents and party moderates, it’s not clear avoiding debate is the best strategy. Colorado politics moved hard to the left in 2013, with Democratic state legislators enacting a series of agenda items they felt were long overdue on minority rights, weapons restrictions, and business and environmental regulations. This shift, which produced a political reaction that Democrats are now trying to quell lest they lose their majorities in the 2014 election, is not unique. Colorado, like three-quarters of all the states, is now under unified party control. Single-party dominance is unusual in Colorado, which faced divided control between a Democratic governor and Republican legislature throughout the second half of the 1970s and all of the 1980s and most of the 1990s. American’s polarized politics has federalized. The states are now as partisanly divided as Washington D.C. This level of single-party dominance (37 states) is at its greatest in a half century. As of today, among states with unified control, Republicans dominate 23 states and Democrats control 14. Single-party control, when combined with the increased polarization and separate agendas, means less compromise and more legislation proposed and enacted from the extreme end of the parties’ political wish lists. Republican states have been pushing the envelope on abortion restrictions and voter identification laws, and Democrats have antagonized more conservative and non-urban populations with gun control and environmental mandates. In many single-party controlled states, the dominant party has overreached public opinion and produced a political counter-reaction. In Colorado, legislators were recalled, rural areas threatened secession and Democratic polling numbers collapsed. But, Republican governors and legislators have also faced angry special interests and voters in Wisconsin and Ohio over perceived anti-labor legislation. If states are the laboratory of democracy, will the cycles of partisan action and reaction create a cadre of new leadership with the skills to manage the polarization toward accomplishment and successful political careers and, if so, will they bring those skills to Washington D.C.? Immigration reform has been a top political priority for both parties since the 2012 re-election of President Obama. A comprehensive and bipartisan reform bill passed the U.S. Senate in 2013. Although legislation is stalled in the House due to the politics of the 2014 election, the public remains supportive of an immigration solution. A majority of Colorado voters (59%) and U.S. residents (57%) support allowing illegal immigrants “to stay in the U.S. and to eventually apply for U.S. citizenship” as opposed to allowing illegal residents to stay, but not become citizens (11%) or “be required to leave” (26%). The challenge for the Republican Party is that only a quarter of Colorado voters support some form of deportation, but 37 percent of Republicans do, enough to win a primary if that is the paramount issue. A plurality (47%) of Colorado Republicans support a path to citizenship and a majority (53%) of independents. If a solution is framed that includes strenuous conditions to citizenship, Republicans join Democrats in reform. The approach that elicits the most support is to describe a path to citizenship for illegal immigrants that includes conditions, such as waiting a number of years, having a job, speaking English and paying back taxes. A national CNN poll on February 2, 2014 found 81 percent favored that type of legislation and it included 72 percent of Republicans. A majority of Colorado voters (51%) are beginning to have some regrets about the new reputation as the “Stoner State.” But, they show no desire to reverse the decision to legalize and appear comfortable with the current regulation. Although half the population claims to have tried marijuana in their lives, current use is shown to be about one-in-ten Colorado adults. The latest Quinnipiac survey provides the first review of attitudes concerning marijuana since approval in 2012 and the January 2014 launch. Colorado voters give Governor Hickenlooper a good grade for his positions on marijuana policy (53% approve), which reflects acceptance with strong regulation. The greatest threat to legalization identified in the poll will be increased traffic accidents. Two-thirds of the people are very concerned about drivers under the influence. The debate over gun control and rights continues to bedevil Colorado politics. Democratic legislators, chastened after losing three state senators to recalls or their threat, tried to lower the visibility and temperature of the issue by allowing unhindered testimony on gun control repeal measures before quietly defeating them in partisan votes. But, unfortunately for them, if the latest Quinnipiac poll is to be believed, the gun rights issue remains highly visible and contentious among Colorado voters. 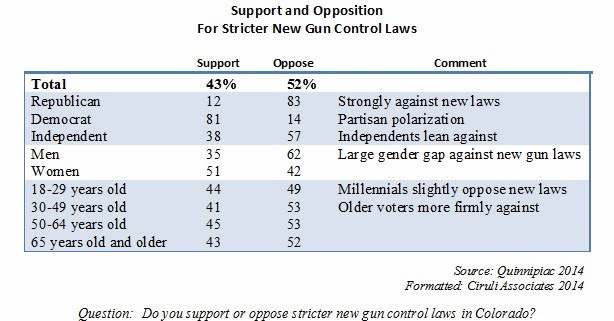 Voters are protective of gun rights and hostile to new stricter laws, but supportive of some regulation, just not all. Hence, the political battle will continue in 2014, with both parties seeking advantage. And, polls and public opinion will be a regular part of the argument. More gun control laws generate partisan polarization and gender gaps. Independent voters in this survey oppose more control, but there are little discernable generational gap. Voters pick and choose measures to control guns leaning to the less restrictive. Another indication the issue will have traction in the 2014 election is it’s listed as the third biggest issue among voters in deciding the governorship, and Governor Hickenlooper is judged doing an inadequate job on gun policy by 54 percent to 31 percent. Fifty percent of Colorado voters support “allowing teachers and school officials to carry guns on school grounds.” Voters who are under 30 years old offer the strongest support (61%). A majority of seniors believe it’s a bad idea, producing a generational gap of 18 points. Men (56%) are more supportive of armed teachers than women (43%) and Republicans (74%) are much more supportive than Democrats (19%). Independents break toward armed teachers 53 percent to 43 percent. When given a choice between armed teachers and stricter gun laws, a plurality of voters preferred armed teachers (47% armed teachers to 39% stricter gun laws). Voters views on gun restrictions and gun rights are significantly affected by the question asked and can produce surprising results. Governor John Hickenlooper received some good news from the latest Quinnipiac poll after a difficult 2013. His job approval is up four points since November and above 50 percent, if just barely, for the first time since June of last year after his death penalty plunge and the polarizing effect of the Democratic legislative session. His improvement over last June’s 47 percent approval reflects now having 28 percent of Republicans “favorable” vs. only 19 percent in June. Hickenlooper also leads his rivals by more than the poll’s margin of error. But, Hickenlooper remains vulnerable on some important issues. Voters still do not like his sudden anti-death penalty position, although many don’t know his position and don’t rate the issue highly. 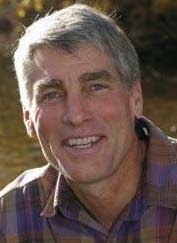 Two issues voters do rate highly and they are not satisfied with Hickenlooper’s performance are education (third most important and disapprove of Hickenlooper’s performance 39% to 47%) and the ever controversial guns (second most important issue and disapprove of Hickenlooper’s handing 31% to 54%). Fortunately, Hickenlooper aces the top issue – the economy with 53 percent approving to 37 percent disapproving his performance. Not a bad beginning of the campaign year, but far from a safe seat. After a weak 2014 campaign start (see The Buzz: Udall’s Rocky Start – Feb. 5), Mark Udall received more bad news in the latest Quinnipiac poll. In Colorado and Washington D.C., news and online commentary places Udall’s vulnerability in the headlines. Although Udall hasn’t done anything especially controversial or even notable in 2013, he is being weighed down by a Democratic president with very negative Colorado approval and the poor implementation of legislation he supported – the Affordable Care Act. Udall’s single-digit leads over Ken Buck (3 points), Amy Stephens (2 points), Owen Hill (5 points) and Randy Baumgardner (2 points) show that no Republican candidate has an advantage. The race, as of the first of February, is simply a Democratic incumbent against the Republican field and it is within the margin of error (±3 percentage points). It is still not clear that Republicans can translate Udall’s weakness to a viable alternative candidate. Incumbency and a $5 million war chest is a significant advantage. And, expect his colleague, Sen. Michael Bennet, to head up an all-out technological effort to hold the Senate for the Democrats, including Mr. Udall’s seat. In an early test of presidential candidates, at least two leading Republican candidates best the Democratic frontrunner, Hillary Clinton, by 4 to 5 percentage points, more than 2.9 percentage point margin of error of the new Quinnipiac Colorado survey. Paul Ryan is the strongest Republican candidate and Chris Christie is now the only one tested who is losing to Clinton. That is a drop of four points for Christie since a November poll, shortly after his heralded re-election in which he beat Clinton (46% Christie to 38% Clinton). Clinton’s 43 percent against the field reflects an improvement from November when she was suffering from the full force of the Obamacare rollout chaos. Examining the poll’s internals, Ryan’s strength relates to his stronger position with independent-labeled voters and among the Republican Party identifiers. Christie has problems with both Republican and independent voters, as does Ted Cruz. The Quinnipiac poll did not test several potential Republican candidates who may be serious contenders in 2015 when the race heats up. Governor Scott Walker of Wisconsin is the most talked about alternative to Governor Christie, followed by Governor John Kasich of Ohio. Marco Rubio, in spite of a difficult 2013, still has clout as a swing state Hispanic senator. As of today, there is no Republican frontrunner, just more or less viable candidates. Colorado Teachers Union has sued the Denver Public Schools over a new education reform law passed in 2013 that undermines seniority and tenure contract rules with regular evaluations and school district authority to place or not place veteran teachers (putting unplaced teachers on unpaid leave). The union, in an effort to convince voters to support last year’s one billion dollars ballot proposal, maintained a quiet period on the disliked reforms, but with the defeat of Amendment 66, the union is fiercely attacking the law. The Colorado Education Association, the state’s most powerful government union, is accelerating both a legislative and a legal attack. Legislatively, they are attempting to add a hearing requirement to the law, which would make the unpaid leave option too expensive to use. As reported by Nelson Garcia, 9-KUSA’s education reporter, this is part of a statewide battle started more than two decades ago to reform Colorado’s public education system and resisted by the union. But, 9News Political Analyst Floyd Ciruli believes there is something deeper happening here. “We are watching probably one of the most important conflicts in the state right now,” Ciruli said. He says teachers unions nationally are losing power. Ciruli believes that the passage of Educator Effectiveness Act attacks one of the main missions of the unions, protecting the jobs of veteran teachers regardless of their performance in the classroom. He says CEA is trying to protect its power. “My sense is that they are in for a very long battle in which they are mostly on the defensive,” Ciruli said. Ciruli says the union has already lost power in Douglas County. He says Jefferson County appears to be next. And, it is happening in Denver and in other districts around the state. traction, appear to justify his year-long placement in the “lean Democrat” category. But, his 2014 start hasn’t been auspicious. And suddenly he looks on the defensive and Washington is taking notice. Udall’s seat has moved up the queue by Republicans anxious to take advantage of their apparent good fortune from the President’s weak polling numbers and Obamacare, which continues to generate news stories of cancelled policies, missing healthy young applicants and a complicated enrollment system. Enter Udall’s staff trying to put the best data available out on Colorado’s Obamacare. That effort is now the center of a well-organized Republican effort to tie Udall tightly to Obamacare and add a whiff of conspiracy to mislead the public on the extent of cancellations of insurance policies for Colorado residents. The incident is well-designed for Colorado Republicans. The controversy involves Governor Hickenlooper’s administration so Republican gubernatorial candidates can use it. The Senate candidate effectively pushing the issue into view is State Representative Amy Stephens, generally seen as the most dangerous candidate for Udall. Most importantly, it ties Udall to Obamacare in his own mini-scandal – lousy issue for him, great future campaign advertisement for Republican candidates. Denver pollster Floyd Ciruli said it’s unclear whether the uproar will dog Mr. Hickenlooper or Mr. Udall into the campaign season, but that it has the potential to become a “breakout issue” for Republican candidates. It has been pointed out the spread of medical marijuana has contributed to its acceptance for recreational purposes. Use of marijuana also affects decriminalization attitudes. Americans under 50 years old are far more likely to claim use. Use has remained the same for some time, but with high levels among voters under 50, combined with the view enforcement has failed, legalization support is up. I turned on the Sunday news show and left it on as background noise when the news flashed on the death of Philip Seymour Hoffman of a reported drug overdose. What a tragedy for his family and friends and all of us who reveled in his extraordinary acting talent. Then, of course, at 4:30 pm from the first snap to first play in the second half, it was all downhill for the Broncos. What a weak performance combined with some very bad luck. I left the sound on, but couldn’t watch after the kickoff return. Still, thanks to Manning and the players for an exciting year. A new CBS poll said six out of ten of us watched the game and were divided between wings and pizza. We went with spaghetti and meatballs. That was one of the few high points of the evening. Waxman, Miller – Next, Pelosi? 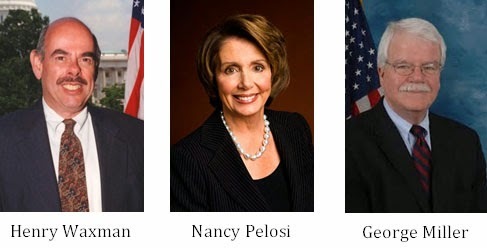 The retirement of liberal lions Henry Waxman and George Miller leaves Nancy Pelosi without her top allies. The three were primarily responsible for the design and then passage of Obamacare. Waxman, from his perch as chair of Energy and Commerce, and Miller, as her major lieutenant and caucus protector, are the last of the House’s Watergate class of 1974. The two veteran Congressmen realize that their four-year wait for restoration of a Democratic House majority, their chairmanships, and Pelosi’s speakership have faded. The irony is that their greatest victory, the Affordable Care Act, was the major catalyst for the rise of the Tea Party and the loss of the House in 2010. And, their vulnerability today is primarily caused by the ACA. Democrats will not only not pick up seats, but could well lose some. Pelosi says she’s running and gives no hint she will join her exiting friends and colleagues. But, of course, she has to plow ahead. Her main contribution to the House Democrats running this year is raising money, a role in which she has been prodigious. Any hint that she’s retiring, and the money would stop. In fact, the Waxman/Miller retirements are strengthening the narrative that Democratic money is going to start shifting to endangered Senate Democrats and not the longer-shot House majority.